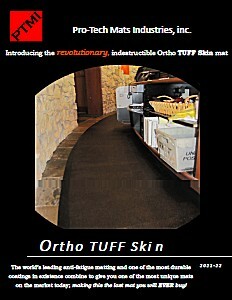 Introducing the revolutionary, indestructible, Ortho TUFF Skin mat. 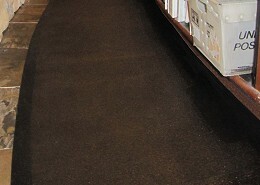 The world’s leading anti-fatigue matting and one of the most durable coatings in existence combine to give you one of the most unique mats on the market today; making this the last mat you will EVER buy! PTMOTS243634 2' x 3' x 3/4" 4.50 lbs. PTMOTS363634 3' x 3' x 3/4" 6.75 lbs. PTMOTS364834 3' x 4' x 3/4" 9.00 lbs. PTMOTS366034 3' x 5' x 3/4" 11.25 lbs.